The history of the valley from 1840 to the last quarter of the 20th century, 146 pages. Extract from Pioneering in the Bellingen Valley Page 12. The village of Bellingen was proclaimed in October 1870. A fine business centre existed at Fernmount and Boat Harbour (Bellingen) was also making good progress in the same direction. The postal name, Boat Harbour, was changed to Bellingen, in 1890. It was on the 26th November 1886 that the first newspaper, “The North Coast Times”, a weekly publication with Joseph Mackay as proprietor and editor, was established in Fernmount. It is worth mentioning here that a second newspaper “The Northern Courier (Henry Boultwood, proprietor and editor) was started at Fernmount in 1889. 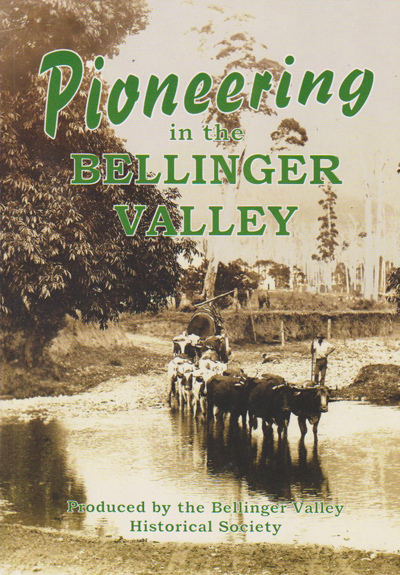 This is a must for anyone interested in the history of the Bellingen Shire.